I Want a Ground Floor Condo Unit In North York! “I Want a Ground Floor Condo Unit In North York!” is that what you are saying right now? If not, than maybe at the end of reading this, you will be. I really like ground level or main floor units in a condominium building. Most people and even most real estate Agents think it is a bad feature but I see it differently. Last year I had 1 client buy a unit on the ground floor. This year, I sold condo units on the ground floor. Is this a trend developing as the baby boomers age? When selecting a ground floor unit, you have to be careful of noise and smells. You will want to make sure it is away from the parking garage, garbage room and building amenities. Here’s my list for Top 5 Reasons to live on the Ground Floor. 5. No noisy neighbours below. 4. You have a patio and a door directly to your unit. 3. Prices are relatively cheaper when you buy and relatively cheaper when you sell. As prices for a particular condo go up, so do the prices for ground floor units. 2. Usually Builders upgrade the Ground Floor units to make them more attractive to sell. A common upgrade is having higher ceiling heights. 1. You don’t have to wait for the elevators. You know… Saving 5 minutes a day equals to 30 hours a year. Can you think of any other benefits for living on the first floor? Share it with us by leaving a comment below. Categories: North York Condos, Real Estate Articles | Tags: first floor units for sale, ground floor condo units, ground floor vs. higher floors, harrison garden ground floor units, main floor condo units, main level cheaper than higher levels?, north york condominiums, north york condominiums on the main level | Permalink. My Client Marla And Her Story. My client Marla, is a first time home buyer. She found me by reading this blog about 8 Hillcrest Avenue and 33 Empress Avenue. She was looking for a condominium unit in North York. Her method was to call listing agents on www.Realtor.ca. It didn’t work out because by the time it was listed on the www.Realtor.ca website, the unit was sold already. I explained to her, she needed her own representation and a dedicated Sales Representative to work for her. 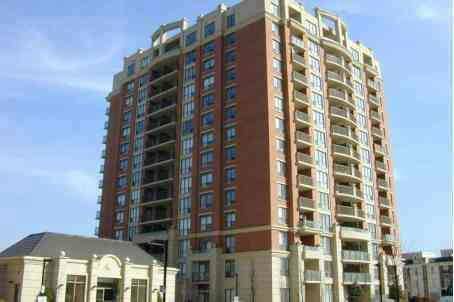 Good North York condominiums units are highly competitive with a short supply and high demand. Units come on the market and if you don’t have an agent at the top of their game, the unit is gone before you know it and before it hits the www.Realtor.ca website. As Marla’s Realtor, I actively looked for new units listed on the Multiple Listing Service (MLS). Since she is pre-approved by the banks, we could take action once a new unit comes on the market. It was vital that we put in an offer, just hours after they list it on MLS to beat all the other buyers. To achieve this, my team checked the MLS 3 times a day for new listings. In addition, we didn’t just sit there waiting for new units to come on the market. We also called the units in the building to see if we can help Marla buy a unit before it hits the MLS. One Month passes by and Marla is worried she won’t find anything. Than one afternoon, the unit of her dreams come on the market. Since most of the paperwork was filled out, we assembled the offer and submitted it to the Listing Agent. Within hours she was the proud new owner of an amazing unit at 33 Empress Avenue. Working with Kirby Chan was a pleasure. It was very refreshing to finally have a real-estate agent spend quality time helping my daughter acquire her first condo in North York. Kirby was able to act quickly so that we could secure her purchase. He is an amazing and dedicated agent, and it really shows through the quality of his work. Kirby worked with us over a period of a few months, and during this time, he proved to be a valuable partner in our real-estate endeavour. Kirby spent countless hours searching for the perfect property for my daughter. He was available to us 24 hours a day with a smile on his face and a positive uplifting attitude. When the perfect condo came on the market, Kirby leapt into action quickly and we were able to secure the property with ease. Kirby made the paper work effortless, and helped us through the buying process. His knowledge of our desired area was first-rate and if ever we are in need of a real-estate agent in the future, we would not hesitate to call Kirby. It’s Easy To Contact Me, Just Click Here. Categories: Client Testimonials, Real Estate Articles | Tags: 33 empress avenue, 8 hillcrest avenue, client testimonial, condo buying guide, direct subway access north york, first time home buyers, north york condominiums, north york good real estate agent, the best real estate agent north york., toronto condo buying experience, underground subway condominium toronto | Permalink. Pinnacle and Royal Pinnacle are two buildings connected by Empress Walk, a 250,000 sq.ft. shopping and entertainment complex. 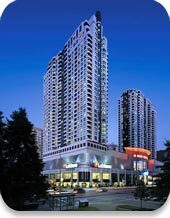 It is located on the East side of Yonge Street above the North York Centre Subway Station, allowing easy indoor access to the Subway Station. Schools: a major selling point is that Pinnacle and Royal Pinnacle are located in the McKee Public School and Earl Haig Secondary School district. They are the last condos to be allowed into these districts. Residents from newer condos have to be bused to schools in other areas. Amenities include a sauna, fitness centre, billiards room, party room and meeting room. One Bedroom units start at $299,900 and $1,300 for lease. Two Bedroom units start at $399,900 for sale and $1,700 for lease. Three Bedroom units start at $649,900 for sale and $3,200 for lease. Prices are effective November 30, 2010. Categories: North York Condos, Real Estate Articles | Tags: 33 Empress ave, 33 empress avenue, 8 hillcrest ave, 8 hillcrest avenue, buying a condo, first time buyers toronto, forest hill real estate, homes in north york, keller williams, kirby chan, menkes condo, new condos, north york condo prices, north york condo trends, north york condominiums, north york condos, north york homes for sale, pinnacle, royal pinnacle, sell a condo, toronto condos for sale, Toronto homes for sale, ultima at broadway, www.mls.c, www.mls.ca, www.realter.ca, www.realtor.ca, www.remax.ca | Permalink. Some of my clients are looking to buy a home in this market where nobody knows if the market is going up or down. What I sense is that the supply at the moment is quite low. So I tell my clients that if they find the house that they like than just put in their best offer. Everytime I work with my clients on an offer I ask them, “‘If someone buys the house for $10,000 more than you, how would you feel.” This is one of the ways I can find the maximum amount my clients are really willing to pay for a particular property. Many of my clients are worried about multiple offers and having to bid higher for the homes. That is where the news media are really being trouble makers. Remember when property prices dropped slightly, the media said it was the lowest in 20 years. And just recently the market recovered slightly and the media made it out like there was a buying frenzy and concentrated on a sale that had 20 offers. Do not be affected by the media and do not be affected with people saying, “There’s been 20 showings on so and so property on the first day of showing”. Hype is generally just hype. I had one client that was not going to put in an offer because of that. My advice was to put in an offer with an amount and conditions that they were satisfied with. I said, “Maybe someone outbids you and maybe not. If you don’t try, you can’t buy.” In the end we put in an offer and it was eventually sold to someone else that paid in my opinion way above market value. Categories: Real Estate Articles | Tags: buying a house in toronto, condo richmond hill, forest hill real estate, luxury real estate, markham detached homes, north york condominiums, The Kirby Report (Monthly), Toronto Real Estate | Permalink.